The Kea Touch is the newest and most elegant of the Necta range. 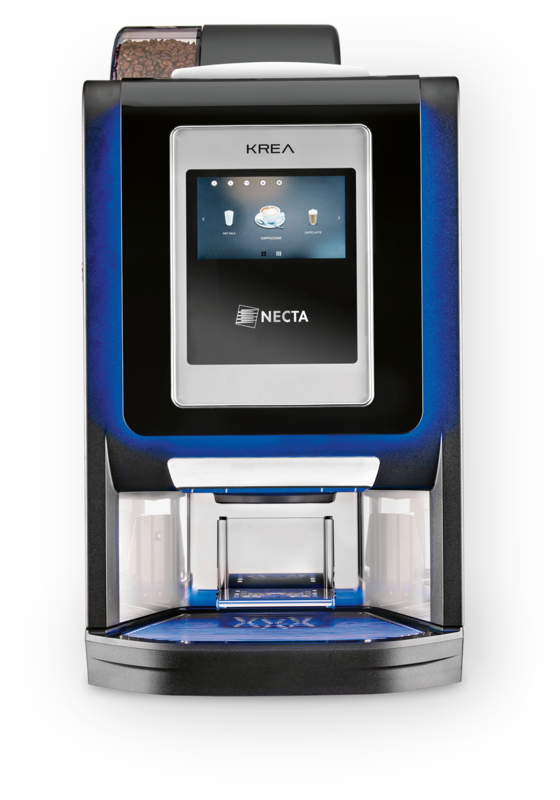 Enriching the Necta Horeca Family with this fantastic design and chrome features, the Krea Touch is a great option for offices looking to serve quality coffee drinks without the need for fresh milk. 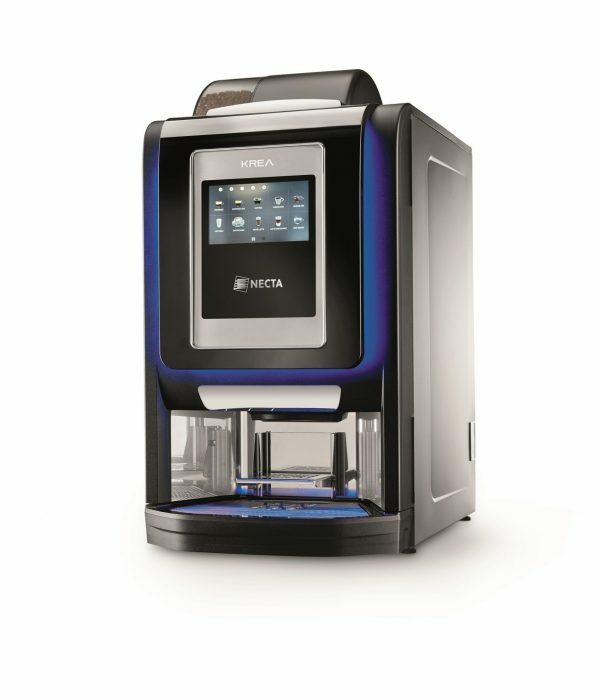 The patented Z4000 coffee brewer is a compact espresso boiler with 600 cc capacity for high throughput. 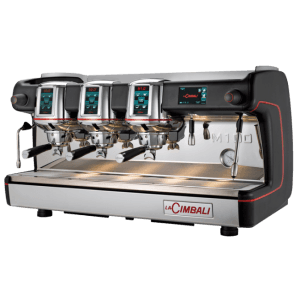 Top quality drinks with optimal delivery times. Easy to use design interface. 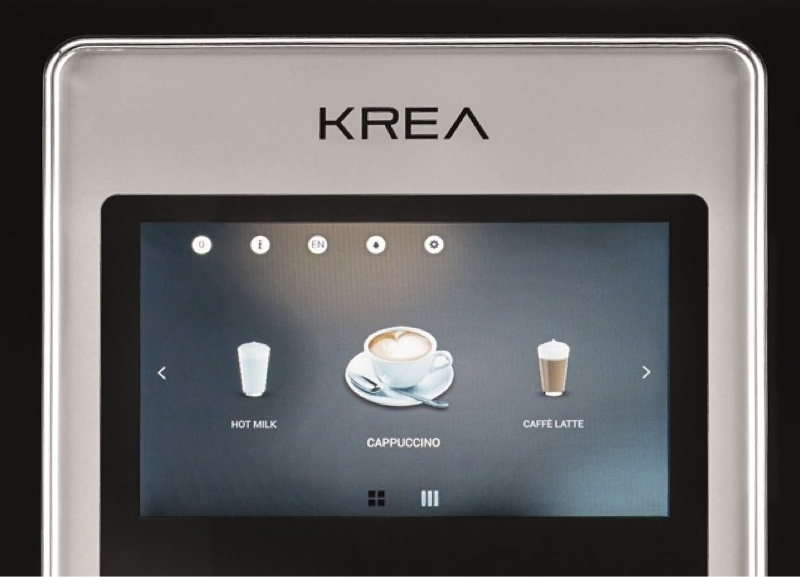 The Krea Touch comes with a 7″ HD touch screen, decorated with chrome frames and shiny black surfaces. 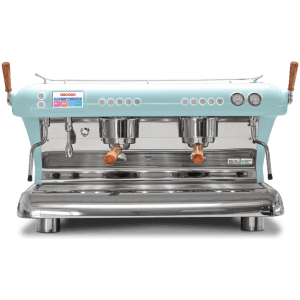 This machine is arguably the best looking in the Necta range and for good reason. 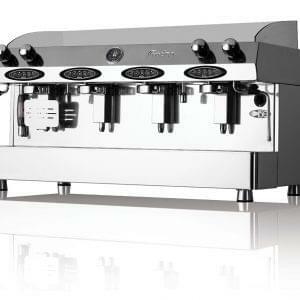 The Krea is capable of serving a medium output with one touch ordering and uses powdered milk as opposed to fresh milk. 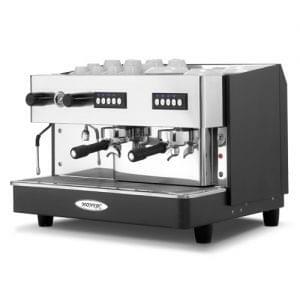 This is advantageous for locations that need easy cleaning or do not have the storage available for fresh milk machines.